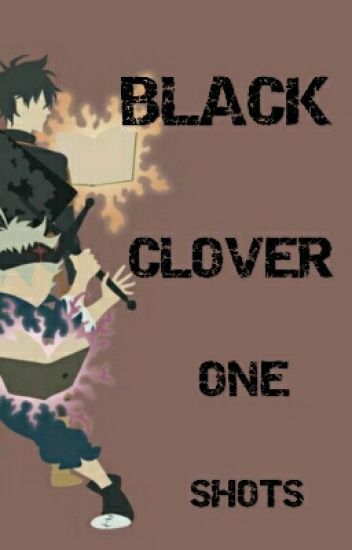 One-shots with the people of Black Clover! [Name] refers to the Reader, A.K.A YOU. YES, YOU. Same as in the Saint of Balance, [Name] is the reader. But this doesn't take place in that fanfic. I may include OC'S from my other Black Clover fanfics if it fits. Not [Name] from Saint of Balance, since having two [Name]'s would be confusing. Anyways, I'll put in the titles of the chapters like this if it's a love triangle. For a bit more information, look in the Request Page. Also, it can get my devices taken away. Then no more writing. I'm terrible in Human Anatomy, and there shall be no limes, or lemons. If any of the one-shots resemble anything else, other than Black Clover, then it's purely coincidental. Also, because school has started for me, expect slower updates. Child! Asta X Child! Reader X Child! Yuno - Mine! Zora Ideale X Child! Sister! Reader - "I'm Zora, He's Xerx!" William Vangeance - Always And Forever! (Y/N) was left in front of a church when she was barely one year old by a woman on the brink of death. Without any clue about her home or parents, she was only left with a necklace that had '(Y/N) Ouranos Caelus' engraved on it. -Knowing my strange tastes and my twisted mind, this story may not have a happy ending. -The story can enter in hiatus suddenly and without any notice. Asta, Yami, Finral, Solid and more if I feel like it. (Y/n), Yuno and Asta aim to become the Magic Emperor, but in this world magic means everything. (Y/n) learns the true meaning that peasants are weak and that the powerful are selfish. Instead of losing hope, she gains hope to get stronger and become the Magic Emperor to rid of laws of social classes. In her new squad, (Y/n) starts to grow stronger and develop bonds with the people around her, some start falling in love with her cockiness and childish behaviour, while others might be filled to brim with jealousy, may it be in power or beauty. Will these bonds grow stronger and turn in something more? Or will they drip with poison of hatred and jealousy? The title says it all! Please make sure to make some requests! I do not own the Black Clover anime, manga, or it's characters. Enjoy! You were an average Magic Knight. Never too important, never too insignificant. Infact you were completely average in every form. You didn't even know how you managed to get into the Magic Knights, forget actually going to the Star Awarding Ceremony. You were quiet, an oddball some would say, but since you barely spoke, to people you were simply average. Everything was simple though. Well it was, until the next Magic Emperor caught his eyes on you. You can make requests or leave ideas in the comments! Most stories are less than 5,000 words. I can make them longer if you guys actually like the stories. Message me or leave a comment. All art belongs to the original creators,as does Black Clover itself!